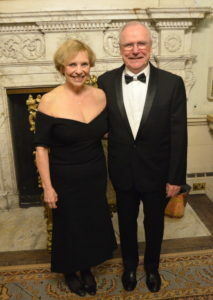 Dinner at Ditchley means dressing up. Although tuxedos and formal dresses were not de rigeur, we were encouraged to dress to the nines and most of us did. I threatened to show up in jeans, but Anne would not have it. 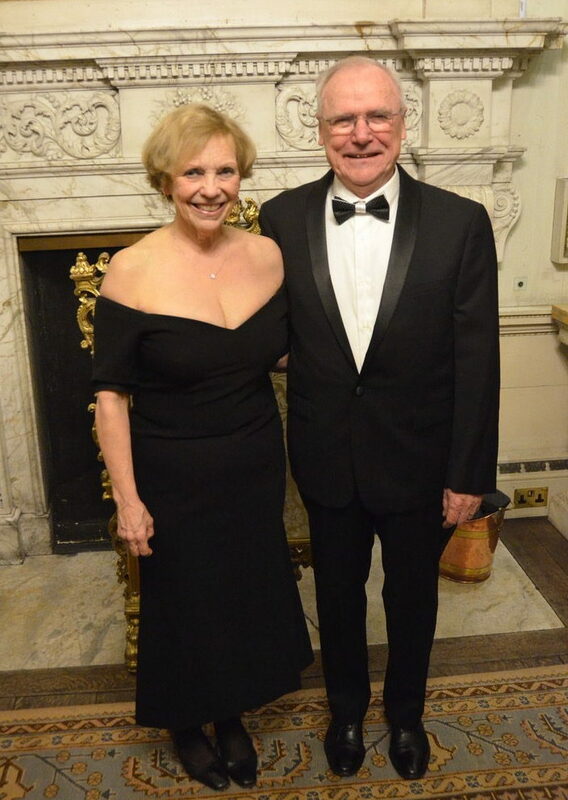 Here we are, the two of us, Anne looking resplendent in a beautiful gown and me pretending I dress for dinner like this every evening. The dinner and reception were a wonderful affair. Wine flowed. Conversation sparkled. And the service was impeccable. A grand time was had by all. Some others at the affair included, below (l to r): Lord David Willetts, executive chairman, the Resolution Foundation; Esther Mead, Ditchley Foundation staff; and Paul James, CEO of River Learning Trust, England. 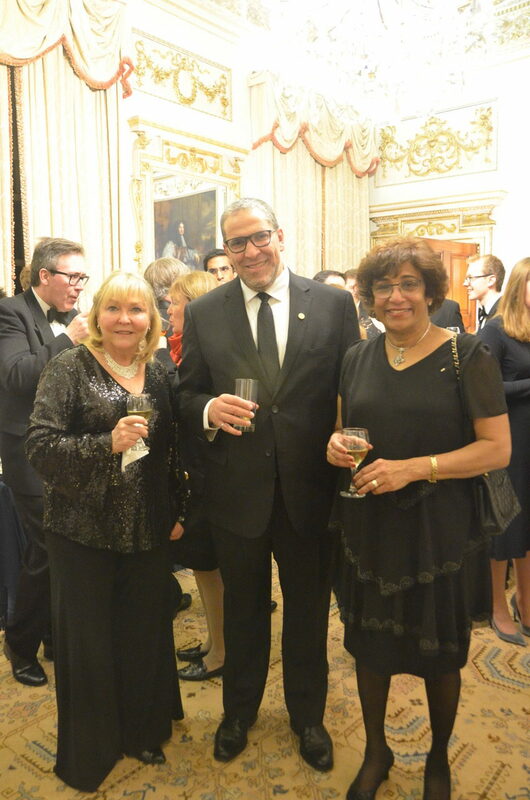 We were delighted to meet also a group of new friends from Canada (l to r): Professor Maryse Lassonde, President, Higher Education Council, Quebec; Mohamed Lachemi, President, Ryerson University; and Indira Samarasekera, Liu Instute for Global Studies, University of British Columbia. 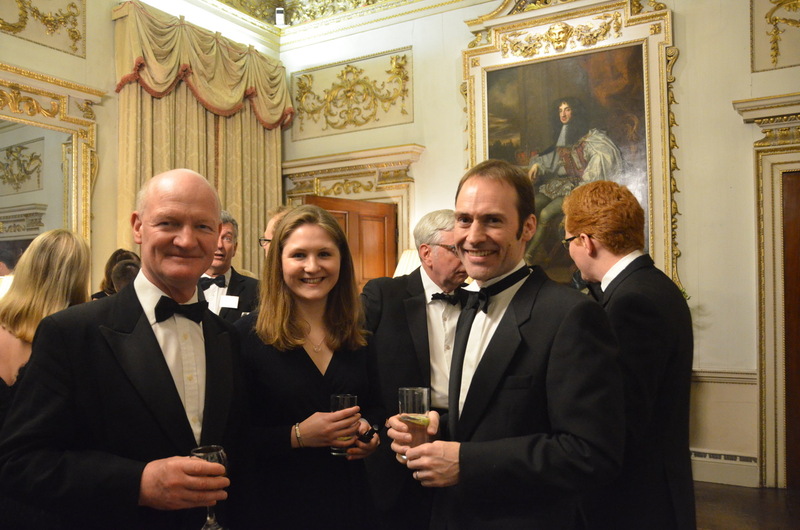 The man in spectacles to the left of Maryse and behind her is James Arroyo, director of the Ditchley Foundation. Amidst such spectacular surroundings it was not difficult to have a wonderful time. But the hard work of making sense of the fountain of good ideas we had heard over a day and a half still lay before us.